Great classic hunter derby jump! Arrange the desert rocks around the jump to your liking! Comes exactly as pictured - two wing standards, five desert stones, one perfect pole, one set of standard jump cups. Entire jump is made our of polyethylene to ensure years of lasting use! 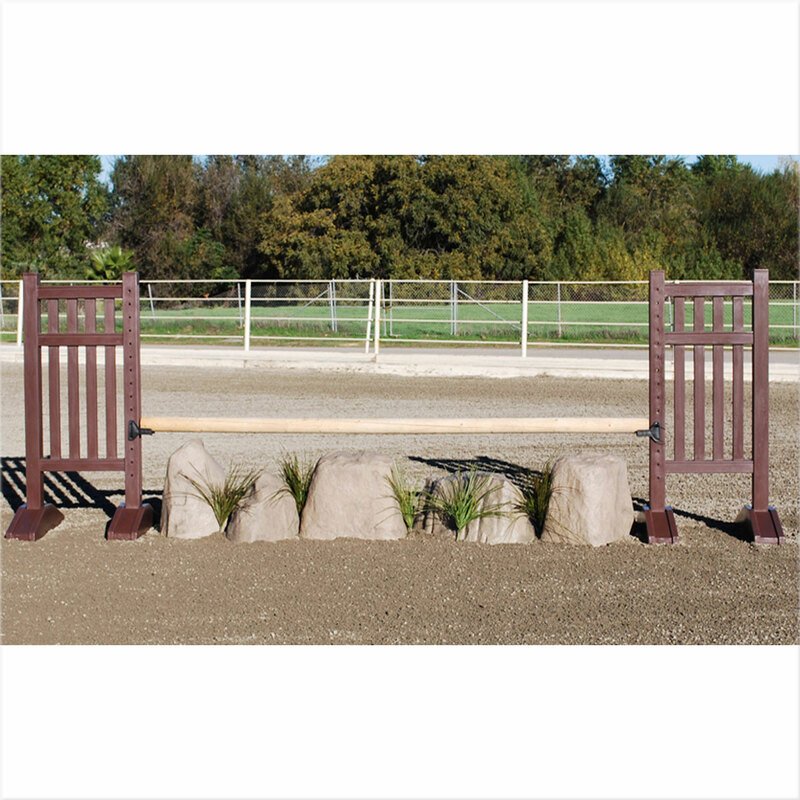 This Hunter, Jumper style jump is available in 10 or 12 foot lengths. Complete with Standards, Gate, Pole, Standard Pinned Jump Cups and even the Flowers for the Flower Box. Beautiful colors as pictured! *Ships for free! This bright colored jump is sure to stand out and make a statement. Two tone Wings and Gate with two Perfect Poles and Post Standards make this oxer jump an eye catcher in your arena. *Ships for free! The perfect addition to any hunter ring! Travertine Stone Wall is featured in this elegant jump. Polyethylene material make this jump durable and weather resistant. Great for a show course or schooling. *Ships for free!